Stephen “tWitch” Boss, Amber Heard (2nd from right) and Channing Tatum star in MAGIC MIKE XXL. ©Warner Bros. Entertainment. CR: Claudette Barius. (l-r) Jada Pinkett Smith and Elizabeth Banks star in MAGIC MIKE XXL. ©Warner Bros. Entertainment. CR: Claudette Barius. (l-r) Matt Bomer, Jada Pinkett Smith, Kevin Nash, Channing Tatum, Joe Manganiello and Adam Rodriguez in MAGIC MIKE XXL. ©Warner Bros. Entertainment. CR: Claudette Barius. Jada Pinkett Smith stars in MAGIC MIKE XXL. ©Warner Bros. Entertainment. CR: Claudette Barius. Amber Heard stars in MAGIC MIKE XXL. ©Warner Bros. Entertainment. CR: Claudette Barius. 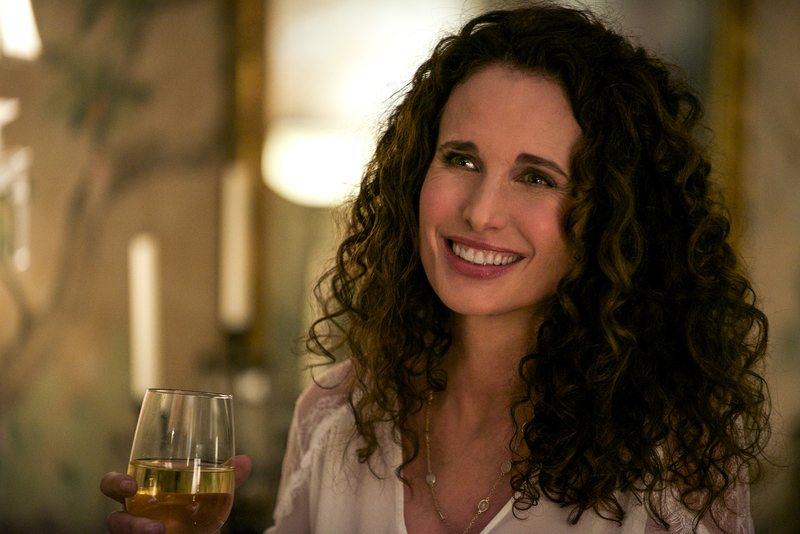 Andie MacDowell as Nancy in MAGIC MIKE XXL. ©Warner Bros. Entertainment. CR: Claudette Barius.